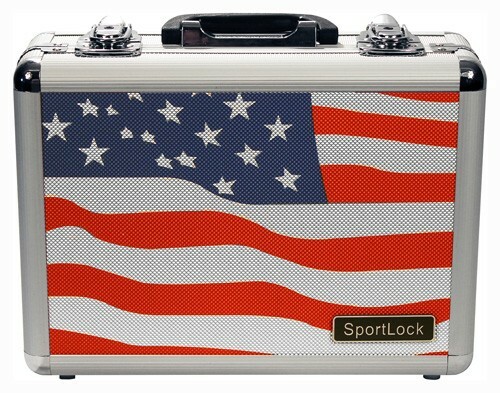 The Alumalock Double Handgun Locking Case featuring a 'USA Flag Scene' by Sportlock is constructed with a strong aluminum frame and reinforced radius corners. The exterior side panels are coated with textured PVC to provide protection and appearance. Inside, your handguns will be protected by a lining of interlocking convoluted foam. 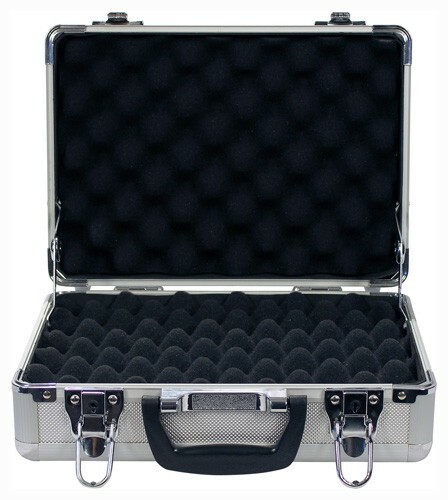 Each case is equipped with key-locking latches and is airline approved. Two keys are included.